The end of summer is quickly approaching - can you believe it is almost August? With that being said, everyone is trying to check things off their summer bucket lists. This weekend is known as one of the biggest music events in the country…Lollapalooza. However, if you’re like me and are planning to stay way from the craziness of Lollapalooza, I have the perfect event for you. 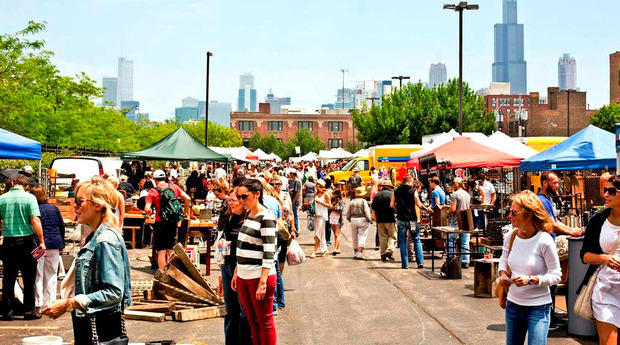 This weekend the Randolph Street Market is back! Randolph Street in the West Loop (right in our hood!) is taken over by a multitude of vendors, featuring the Chicago Antique Market and the Chicago Indie Designer Market. With great food, live music, shopping and drinks, this is certainly an area you will want to check out this weekend. Tickets are $8 for general admission, but if you’re looking for some great deals, be sure to check out Gilt City-they’re offering ticket and drink packages for the event. We hope to see you there!